We offer Wisconsin’s largest selection of new and used restaurant, bar, and grocery equipment in our newly remodeled 90,000 sq. ft. warehouse. Find new and used restaurant and grocery equipment, in our 90,000 sq. ft. warehouse. We buy, sell, and trade and also pick-up. All items come with a 30 day warranty! 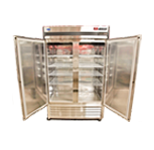 Refrigeration, freezers, and more built by leading manufacturers such as Atosa, Royal, Starmax, and more. We steam clean, inspect, test, and sell used equipment by leading manufacturers such as: Atosa, Royal, Starmax, ArticAir, and more. 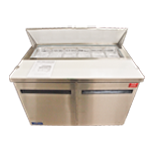 We offer on-site service technicians for cold and hot units, appraisals, and auctions. Service prices are some of the lowest in the area. S&P Equipment is offers Wisconsin's largest selection of new, refurbished, and used restaurant and grocery equipment all in our 90,000 square foot warehouse conveniently located in Cudahy, Wisconsin. 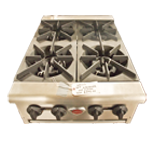 We also buy new and used restaurant and grocery equipment, paying top cash dollar. S&P can also troubleshoot and service your restaurant equipment, and we even provide on-site service.